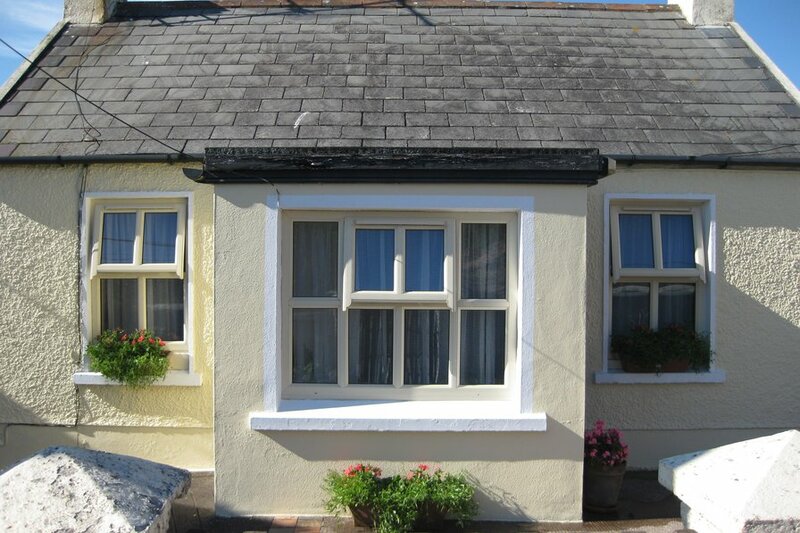 Charming old world cottage, perched overlooking Ballycotton Bay, in Ballycotton Village, Co. Cork. This cottage has two bedrooms 1 double and 1 twin and set set in mature gardens with sea views. Ballycotton is the hidden gem of East Cork. It is a small fishing village which sits overlooking Ballycotton Bay and is surrounded by sandy beaches. Only 40 minutes from Cork airport and Cork City, Ballycotton is the perfect escape to the beautiful East Cork countryside. During a stay in Ballycotton you can enjoy the freshest of fish served in award winning restaurants or from the local gluten free chippy straight from the boats in Ballycotton Harbour. You will receive a warm local welcome in traditional pubs, there is live music in the village at weekends. Local amenities include a Pitch n Putt course and Ballycotton's internationally acclaimed cliff walk. Ballycotton Island Lighthouse Tours can take you in an open topped boat to Ballycotton Island where you can hike to the Ballycotton lighthouse summit & explore the lighthouse. Other activities in the are include Wind and Kite Surfing, Fishing and Deep Sea Angling and Bird Watching for which the area is famous. In nearby Shanagarry is home to Shanagarry Pottery and the Ballymaloo Cookery School and Gardens and the Artist and Design Studios at Kilkenny Design.